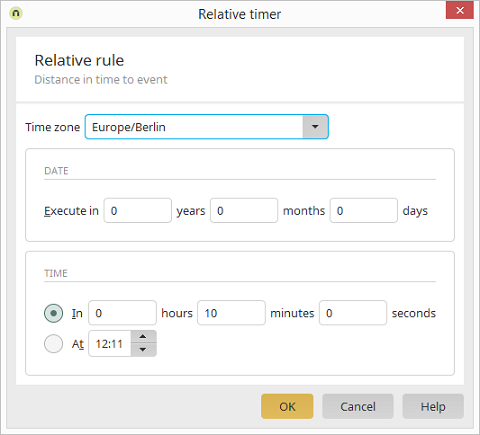 Here, you can define which timezone the data in this dialog refers to. You can define in how many years, months and days the timer action should be executed. You can define the time between the triggering event and this action in hours, minutes and seconds. You can enter a static time here when the timer action will be executed.